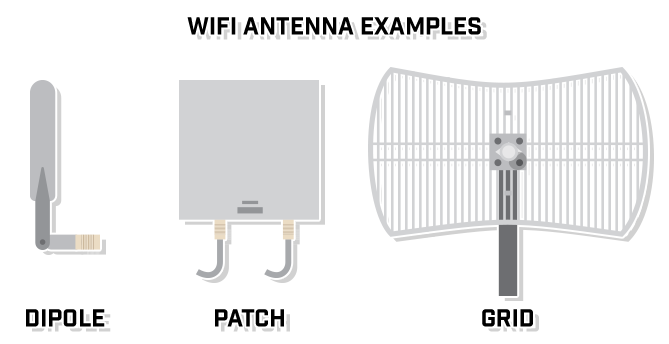 Several varying types of antennas exist for WiFi, each with a specific purpose for how and when they should be used. Different types of antennas can be found anywhere from small office settings to outdoor camping grounds. While there are many types of antennas, all of them have the same purpose: producing radio waves to send information through the air. 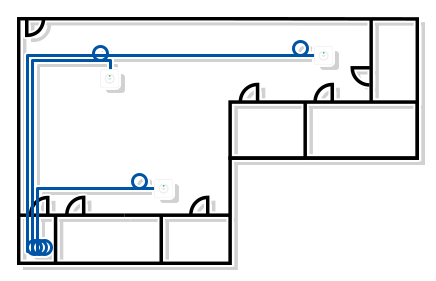 The three main antenna types are omnidirectional, semi-directional, and highly directional.